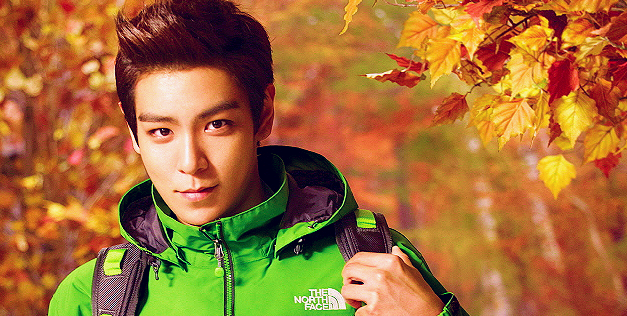 T.O.P has been my bias for three years and counting. I first found out about k-pop when I watched Big Bang and 2NE1’s MV Lollipop, and I remember just thinking how weird it all seemed and laughing through it the first couple of times. I loved the bright costumes in the MV and how it was so different to any other MV I had ever seen before, but the thing that really stuck out was how cool and handsome TOP was. From that point onwards I watched more and more Big Bang music videos, and within a week they were my favourite band, and I considered myself a VIP. However, T.O.P wasn’t my bias automatically, but that was because I hadn’t really discovered his personality yet. That all changed when I watched a video clip where T.O.P was asked about his ex-girlfriend. I was intrigued by how different Choi Seunghyun was to T.O.P. He was so sincere, and I saw a caring and considerate side of his personality that I really loved. After that I realised how complicated he really is, he’ll act like a five year old sometimes, and then he’ll be very serious and mature. He has one of those personalities where it’s hard to tell what he’s really like, because there are so many different sides to him. Maybe I sound like I’m lying, but it really is his personality that I love about him the most. Another thing that I fell in love with is his music. Anyone who’s seen a live performance of As If Nothing’s wrong, will know how amazingly he performs that song. If you read the lyrics, you can tell what a really emotional song it is. And of course, his rapping is just amazing, even now when I listen to Big Bang songs I’ve heard thousands of times I still am surprised by how good he and the rest of Big Bang are. Being a VIP and having T.O.P as my bias has really changed my life. When I created my tumblr blog TOP-oppa, back in March 2011, little did I know how much my obsession would grow from there. Now I have a twitter, facebook, pinterest and wordpress account all dedicated to him. It was probably the effect of being so involved in the VIP fandom that lead me to blog about T.O.P every day. I was surprised about how nice the VIP fandom is and how even when there were no new Big Bang Mvs or pictures, people would still continue to make edits, gifs and post up pictures. And maybe most importantly, being a VIP, I’ve met so many people around the world who have become good friends of mine. It’s amazing how only five men can bring so many people together, but I guess that’s just the power of Big Bang. People say to me a lot, ‘Don’t you ever get bored?’. Well for some reason, I never have. Maybe it’s because I’m a very loyal person, or maybe it’s just because T.O.P is such an amazing and perfect man? All I know is that T.O.P is going to be my bias for a very long time to come. Such an amazing story! Keep up the good work.